Born in Paris in 1913, John A. Noble is the son of the noted American painter, John "Wichita Bill" Noble. He spent his early years in the studios of his father and his father's contemporaries, innovative artists and writers of the early part of this century. He moved with his family to this country in 1919, a year which had great significance to him and foreshadowed his life's work. 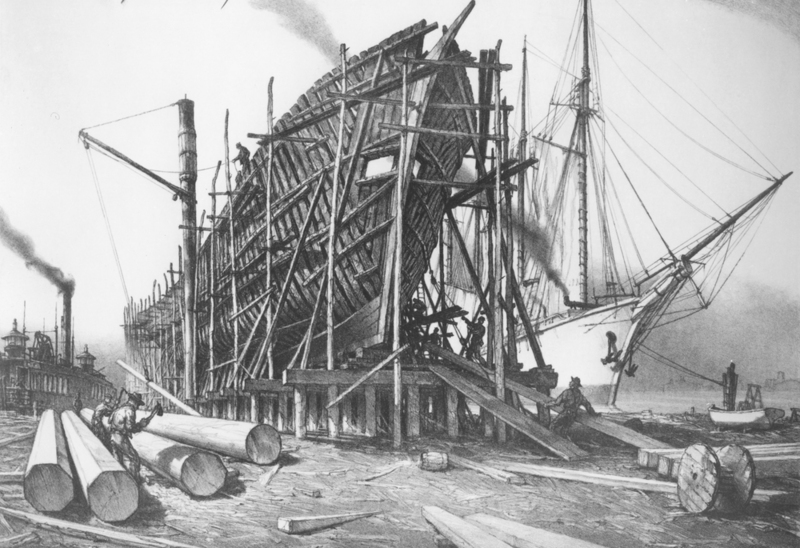 "It was the greatest wooden ship launching year in the history of the world," he wrote. From 1928 until 1945, Noble worked as a seaman on schooners and in marine salvage. In 1928, while on a schooner that was towing out down the Kill van Kull, the waterway that separates Staten Island from New Jersey, he saw the old Port Johnston coal docks for the first time. It was a sight, he later asserted, which affected him for life. Port Johnston was "the largest graveyard of wooden sailing vessels in the world." 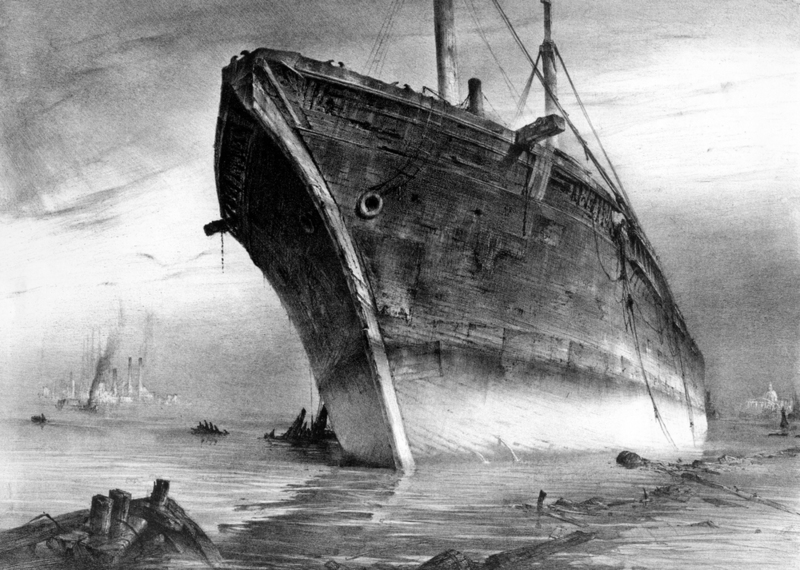 Filled with new but obsolete ships, the great coalport had become a great boneyard. In 1941, Noble began to build his floating studio there, out of parts of vessels he salvaged and from 1946 on, he worked as a full-time artist, setting off from his studio in a rowboat to explore the Harbor. These explorations resulted in a unique and exacting record of Harbor history in which its rarely documented characters, industries, and vessels are faithfully recorded.